Life is starting to take control to the point that finding time (or more like energy and focus) to blog has taken a backseat. And I truly hate that. Time for some time management adjustments! 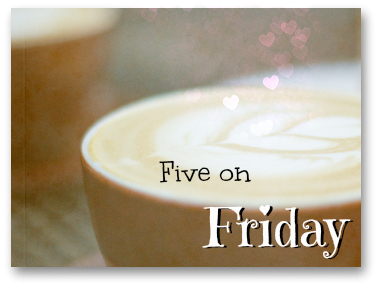 Five on Friday gives me a chance to hit on a whole bunch of topics all in one post without looking too scattered. Or at least I hope I don’t look too scattered. The pope in in the US this week. As I watched coverage the other day, I was moved to tears. I was moved by the thousands of Christians gathering. I was moved by messages of humility and and to not judge others. I was moved by images of peace and excitement. I was moved by the number of YOUTH in attendance. I was moved by thousands unabashedly bowing their heads in prayer to God… on American soil. Then I visited Facebook. And my happiness and overwhelmed feelings of hope turned to disappointment. I saw friends fighting among each other over the pope’s messages. I saw people attacked over their belief in God because they dared to be excited to see the pope in America. I saw distrust and dislike. I saw anger and hatred. I saw claims the world is coming to an end. I saw anger at the idea of everyone getting along. And my heart began to hurt. I wanted to blog on this, but I honestly don’t even know how to end this bullet point. I guess I just wish more could see the positive of this visit by the pope. Instead of being leery of the pope, pray for him. Pray for him to be the leader the Catholic church — and the world — look for him to be. That we need him to be. Pray he leads with God’s word in his heart. Pray he helps us all find our way to a world with more compassion, love, and understanding. On a much lighter note, my summer guilty pleasure came to an end this week. Yes, I am a Big Brother watcher. I started watching it from Season 1, but took a break for a few years through college and other life events that kept me from it. But the last several years, I’ve found a comfort in these crazy people as they helped filled my home with chatter when my husband has been on the road. I am reminded every year that I really should have minored in psychology, because the dynamics of the relationships and the individuals fascinate me. Especially when in relation to the fact that they are playing a game. Call me crazy, but I’m going to kind of miss them. Autumn is here, and there is one thing I do love about living in Tennessee now… we actually get all the seasons. The leaves on the trees are changing colors quickly, and I almost feel like I can sit and stare at a tree and watch it change before my eyes. I love it. I absolutely love it. 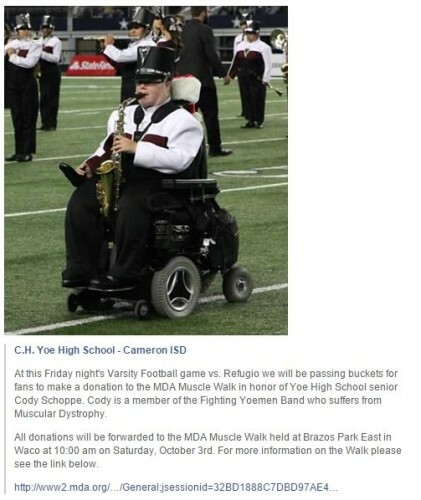 Cody is my nephew… and here is the Muscle Walk Link. I had point five all typed out and that got canceled before I hit post. So I guess I’ll end it with… have a great weekend!